In definition, biological diversity (biodiversity) is the ‘variety of life’ and refers collectively to variation at all levels of biological organization. In our daily life, it is everywhere around us! It doesn’t matter if you live in a city, a town or a village, you are almost always surrounded by some degree of biodiversity and your survival on this Planet is ensured by the services provided by both the existing as well as yet to be discovered biodiversity. Such is the importance of the biodiversity services that even if a fraction of these services are removed, e.g. 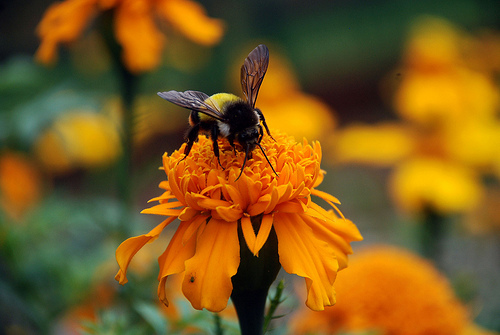 pollination by bees and other insects, human survival and growth will come to a standstill in no time. This year’s observance of the International Day for Biodiversity by the Convention on Biological Diversity (CBD) coincides with the 2011 International Year of Forests, declared by the United Nations General Assembly to educate the global community about the value of forests and the extreme social, economic and environmental costs of losing them. Forests contain a vast – and hitherto unknown – store of biodiversity that needs to be protected which can be ensured only by promoting a “sustainable” use of forest biodiversity. Our forefathers and the tribals who live close to the forest even today know the importance of respecting the forest even as they depend and extract from it. On this IDB, It is time that we sit back and think what modern tools of exploitation are doing to the health of our forests. Even the United Nations appreciates the importance of forests in maintaining long term peace and ensuring sustainable and equitable development. Forests catch and store water, stabilize soils, harbour biodiversity and make an important contribution to regulating climate and the greenhouse gases that are causing climate change. They generate profits for international businesses and provide essential income and resources for hundreds of millions of the world’s poorest people. Yet, despite our growing understanding and appreciation of just how much we reap from forests, they are still disappearing at an alarming rate. Our forests are being lost at an unprecedented rate today which is perhaps the single largest threat to global biodiversity. For this reason, governments from nations across the globe met in Nagoya in Aichi, Japan in 2010 to agree on a new strategic plan for biodiversity. The Aichi targets call for a significant reduction in the rate of loss, degradation and fragmentation of all natural habitats, including forests, by 2020. One of the important tools agreed in Japan is the Nagoya Protocol on Access to Genetic Resources and the Fair and Equitable Sharing of Benefits Arising from their Utilization. The CBD, which was one of the consequences of the Earth Summit (Rio Forest Principles) in Rio nearly two decades ago, is the nodal body for monitoring biodiversity loss and promoting its upkeep. Next year, as twenty years pass by, governments will reconvene in Rio for the United Nations Conference on Sustainable Development (Rio +20). At the same time, India will host the 11th Conference of the Parties (COP) to the Convention on Biological Diversity in 2012. The proceedings of COP 11 will be critical to some serious commitments during the Rio +20 Conference and it is something that we all must show good interest in. Looking at the condition of ‘our common environment’ and the apathy shown towards natural resources till date, it is time that we realize that there really are no free lunches. It is time we must stop taking biodiversity for granted. Our actions today must be oriented towards protecting our forests, preventing undue biodiversity loss and learning to live with nature than to be working to tame it for our needs. On this International Biodiversity Day in 2011, let us all work towards a clean, green and healthy world for us, our children and for the generations to come! Dr. Govind Singh is Co-Founder of Delhi Greens organisation and the Editor-in-Chief of the Delhi Greens Blog. That is great post . Thanks for sharing your ideas about biodiversity on this day.